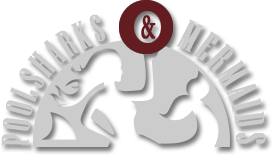 Your dream room deserves fine quality billiard and game room furniture, lighting, accessories and supplies from Pool Sharks & Mermaids. Searching for someone to service or repair your table? Trust trained technicians to service or repair your pool table and billiards. Replacing your cloth or rail rubber is no problem. Call for a FREE estimate on a service call to help revive your pool table and billiards! Looking for the best billiard and pool tables in South Georgia? Explore the selection of quality Olhausen, Collegiate, and Georgia Bulldog tables. Enjoy lifetime warranties on all pool tables and billiards. See our featured selection of bar furniture, juke boxes, and unique decor to your home or office. Create the game & entertainment room of your dreams! Stop in the showroom to touch and feel the furniture and game tables as well as be inspired with new ideas for your dream room.